National Hop-A-Park Day was created with the intent of having people enjoy the nice summer weather on a holiday weekend. People are encouraged to play outdoors while the days are longer & warmer, and spend some time in public parks, ponds, lakes, beaches, green spaces; anywhere a natural sanctuary can be found. The beauty of National Hop-A-Park Day is that parks can be found everywhere, including urban, suburban, and rural settings. No matter what your preferences are, chances are there’s a great outdoor location nearby where you can make your one-day escape. Believe it or not, in this high tech information age, the creator and history of National Hop-A-Park Day cannot be found; however, there appears to be universal agreement on its intent. The purpose is to encourage people to abandon their daily routines and visit parks to relax and leave the stress of the work week behind. 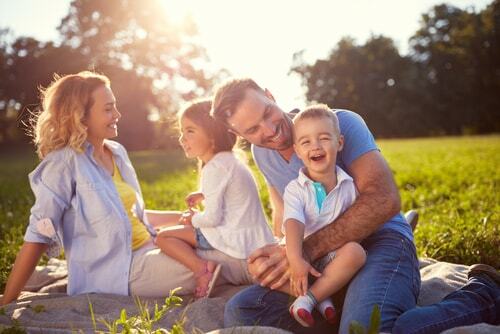 Fresh air and outdoor activities with your loved ones is the perfect combination for rejuvenating both mind and body. National Hop-A-Park Day can be celebrated in a number of ways. You can choose to visit a local town or city park or venture out into one of California’s many state parks. Some folks take the Hop-A-Park message literally and opt to visit more than one park to mark the occasion. Whether you’re single, married, partnered-up, have children or no children, there are plenty of ways to observe this holiday. Take a long, relaxing stroll. Bring a picnic and dine under the canopy of a shade tree. 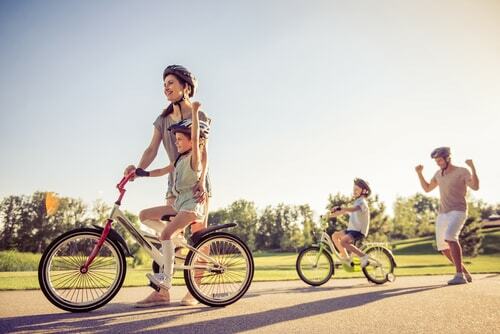 Enjoy a long, leisurely bicycle ride. Find a quiet spot and enjoy that book you’ve been meaning to read. In some parks you can take a swim or rent a boat. Whatever amenities your park of choice offers, make the most of your experience. For those visiting a park with children, there are even more options to keep them engaged and having fun. Go ‘old school’ and organize a game of Tag, Red Rover, or Duck Duck Goose. Bring your baseball gloves and have a game of catch. Dust off the old Frisbee and let it fly. Pull out the jump ropes and get that rhythm back. If the weather cooperates, go fly a kite. This may be the best idea for enjoying your park journey, but possibly the hardest to accomplish. Leave your smartphones and tablets at home! Do yourselves a favor; disconnect and get off the grid for a little while. Let your senses totally take in the sights, sounds, smells, and colors encountered on your trip. If you want to do your park hopping at a state park, the Golden State has a daily vehicle charge, with no admission charge for walking or biking into the parks. Many of the historical parks and museums do charge a daily admission fee. While most of the National Hop-A-Park Day activities are free or relatively inexpensive, costs can add up, especially if driving a distance and/or paying admissions to a historical site or museum. Don’t allow financial stress to ruin your good time. If you need a quick cash infusion, you could get a car title loan or other type of short-term loan to leave your money worries in the rearview mirror. Just because you live in a city does not mean that you can’t enjoy park hopping; in fact, California is renowned for a number of its urban parks. Many an oasis awaits city dwellers who venture out and take advantage of such offerings. 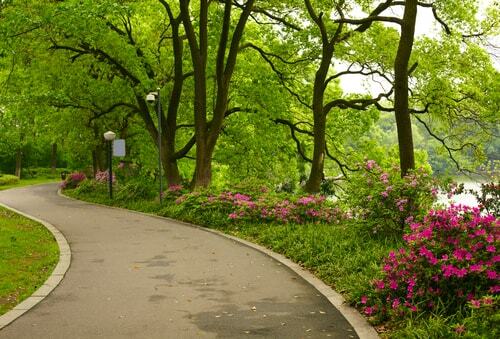 City parks in California often contain museums, luscious gardens, expansive green lawns, and beautiful forests.